Engineers Australia members can view the recording free on MyPortal. Logon and navigate to Technologies > Data Analytics. Description: With billions of "things" delivering big data at brontobyte scale in next few years, this talk focuses on challenges of IoT data management architecture paradigm shift. The talk will also showcase a CSIRO IoT technology which brings together sensing and cloud computing and is an efficient platform for handling big IoT data. When: 12 midday AEST (Sydney) on Tuesday 16 August 2016 . The presentation will last 30 minutes followed by question time. 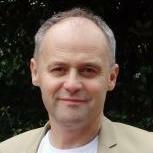 About the presenter: Arkady Zaslavsky is a Senior Principal Research Scientist at Data61 business unit, CSIRO with positions a number of universities. He is currently involved in or leading a number of research projects including SensMA (Sensing Middleware Architecture); and OpenIoT, an Open Source blueprint for large scale self-organizing cloud environments for IoT applications. Arkady is expert in Internet of Things, disconnected transaction management, replication in mobile computing environments, context-awareness and mobile agents, with over 350 research papers published and he has supervised to completion more than 35 PhD students.